Maria chose Swedenborgianism in the early 1820s when she joined the Boston New Church. She experienced Swedenborg’s ideas as a breath of fresh, theological air. The fellowship of Maria’s congregation along with the theological feeding of her mind and spirit in that early decade provided the strong foundation for her next fifty years of reform work. While she left the congregation and denomination in 1828, Swedenborgian philosophy remained with her until her own death in 1880. A colleague of Maria’s reviewed the collection of essays mentioned above which contained the article on Swedenborgianism, babies, and heaven. 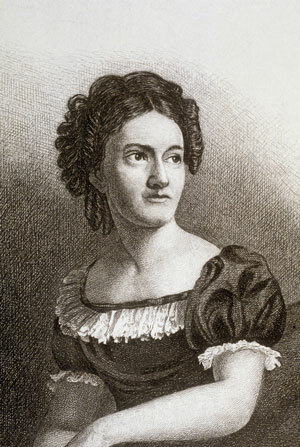 He opined: “The prominent feature of Mrs. Child is hopefulness.” That is precisely what she had in mind when calling upon Swedenborg’s ideas of the afterlife. In people’s devastating times of grief, she desired to give them comfort and hope. Tisa M. Anders is active in the National Coalition of Independent Scholars, the Founder and CEO of Writing the World, LLC, a minister in the Christian Church (Disciples of Christ), and the author of a forthcoming book to be published by the Swedenborg Foundation on Lydia Maria Child’s spiritual life. [i] Maria’s personal letters as well as one of her public essays are included in this article. The abolitionists’ personal correspondence often was posted in their newspapers. Additionally, several volumes of her correspondence have been published over the years, including one during her lifetime. Thus, Maria’s letters frequently made their way beyond the original intended recipient. [ii] CC, 73–1939, LMC to Lucy Osgood, 13 April 1870. [iii] SL, 489, LMC to Eliza Scudder, 6 February 1870. [iv] CC, 45–1219, LMC to [Lucy Searle], 15 May 1860. [vii] CC, 44–1204, LMC to [Parke Godwin], 7 March 1860. [viii] SL, 433–4, LMC to Sarah Shaw, 25 July 1863. [ix] SL, 433–4, LMC to Sarah Shaw, 25 July 1863. [x] CC, 86–2261, LMC to [Sarah Blake (Sturgis) Shaw], 27 January 1876. Anders, Tisa M. “Religion and Advocacy Politics in the Career of L. Maria Child.” PhD diss., University of Denver/Iliff School of Theology, 2002. _________. Never Stifling the Voice of Conscience: L. Maria Child’s Spiritual Journey. West Chester, Pennsylvania: Swedenborg Foundation (forthcoming). Child, L. Maria. Letters from New York, Second Series. New York: C.S. Francis & Co., 1845. In Notes, referenced as LNY2. Holland, Patricia G., Milton Meltzer, and Francine Krasno, eds. The Collected Correspondence of Lydia Maria Child, 1817–1880. Millwood, New York: Kraus Microform, 1980. In Notes, referenced as CC; and Maria Child referenced as LMC. Karcher, Carolyn. The First Women in the Republic: A Cultural Biography of Lydia Maria Child. Durham: Duke University Press, 1994. Meltzer, Milton and Patricia G. Holland, eds. Lydia Maria Child: Selected Letters, 1817–1880. Amherst: The University of Massachusetts Press, 1982. In Notes, referenced as SL; and Maria Child referenced as LMC. Poole, Susan Flagg. Lost Legacy: Inspiring Women of Nineteenth-Century America. West Chester, Pennsylvania: Chyrsalis Books, 1999. Swedenborg, Emanuel. Heaven and Hell. Translated by George F. Dole. West Chester, Pennsylvania: Swedenborg Foundation, 1976. Woofenden, Louise. “Over the River.” CHRYSALIS: Journal of the Swedenborg Foundation 1, Issue 2 (Summer 1986): 122, 129.